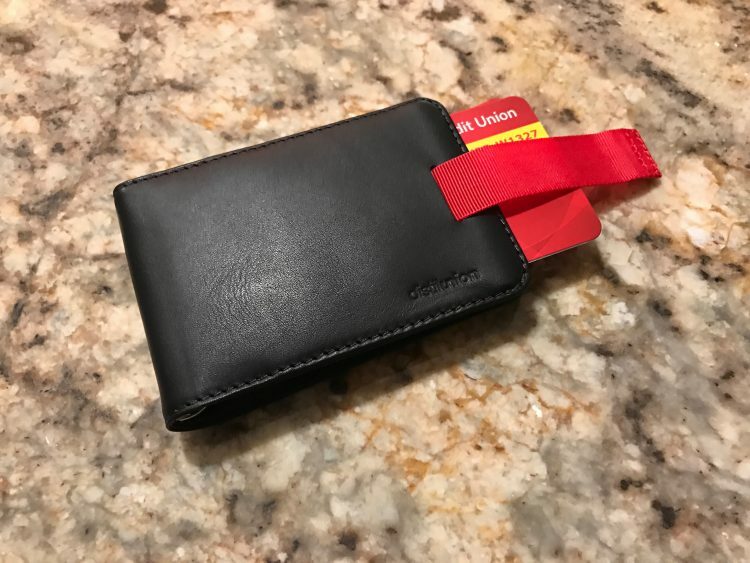 Just last year, Dan reviewed Distil Union’s Wally Bifold wallet, an innovative take on a minimalistic wallet and they have actually updated their popular wallet by improving the already great design. Small in size, the Updated Wally Bifold certainly doesn’t compromise functionality, as the billfold wallet allows you to carry the essentials, eliminating that bulky wallet in your back pocket. With the signature Wally Pull Tab, a lot is the same in that aspect as you can still pull out your cards using either the red or black tab and simply push the cards back in to get the tabs to go back into their respective slots. A major improvement, however, is the FlexLock, which is a new patent pending solution that allows the cards to stay secured inside of the leather even after the leather itself has been worn, making the Wally Bifold loose which could cause cards to slide. It’s a significant change that while you won’t physically see it, you’ll notice once you’ve begun sliding tour favorite cards into the Bifold. Finally, there is the included money clip, which gets you quick assess to your bills and can hold over sixteen bills at one time. For $59.99 the Wally Bifold could be yours today, just head over to Distil Union today!